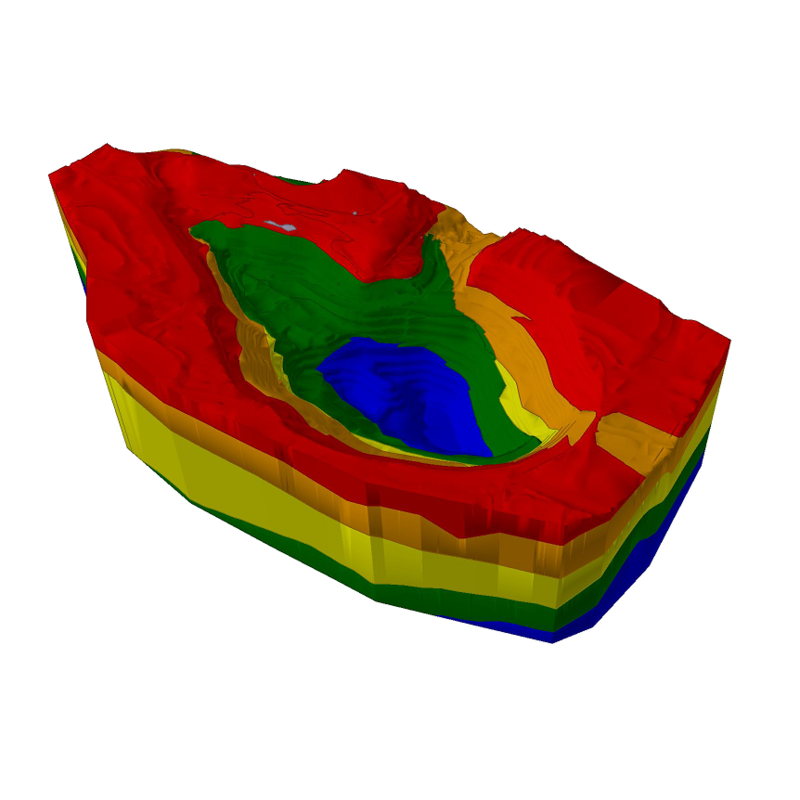 Slide3 is a 3D slope stability analysis software based on our best-selling Slide2 software. With Slide3 most of the analysis features found in Slide2 are now available in full 3D, including complex geology, anisotropic materials, loading and support. Created in 2017, Slide3 (formerly “Slide3”) is a new tool that allows geotechnical engineers to calculate the factor of safety of complex 3D slope stability geometries that 2D models cannot fully simulate. Model advanced geometries like landslides, MSE walls, slopes supported by soil nails, and more. With Slide3, users can calculate failures in any direction without the need for defining the direction in advance, increasing efficiency in modeling and analysis. Computing large models can take time, but with advanced parallel processing, Slide3 runs analyses over 10x faster than competitors. This tool enables users to fix defects in imported geometry directly in Slide3. A new Collapse Small Volumes function has been added to allow users to identify and collapse small volumes in the geometry. The addition of a new Section tool enables 2D analysis of multiple planar sections of a 3D model via a single automated process. 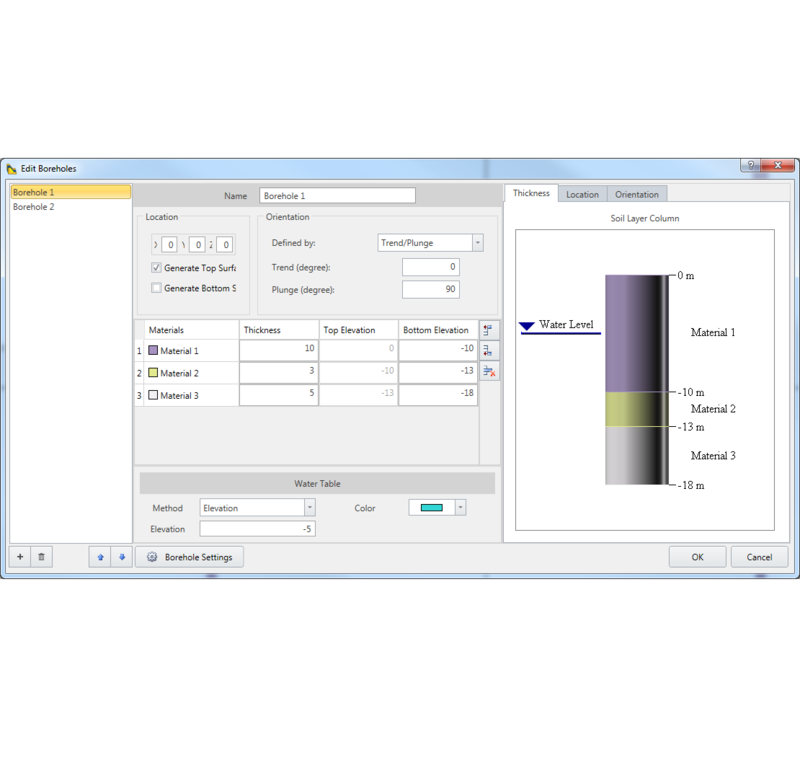 Slices are packaged into a single file and the Slide2 computing engine is automatically invoked to perform a 2D analysis. Results are read back into Slide3, and the global minimum surfaces and factors of safety are displayed in 3D. 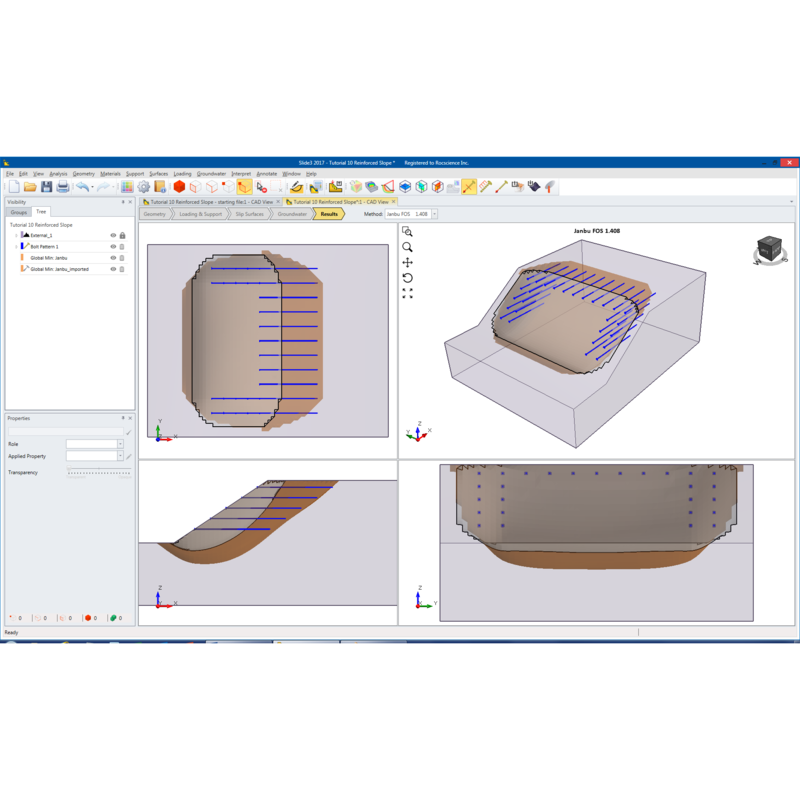 A new slip surface type has been added to enable searching for wedge-shaped failure surfaces using the Cuckoo or Particle Swarm search method. This option enables the handling of a range of block-shape slip surfaces that previous versions couldn’t address using the simple Multi-Surface type. 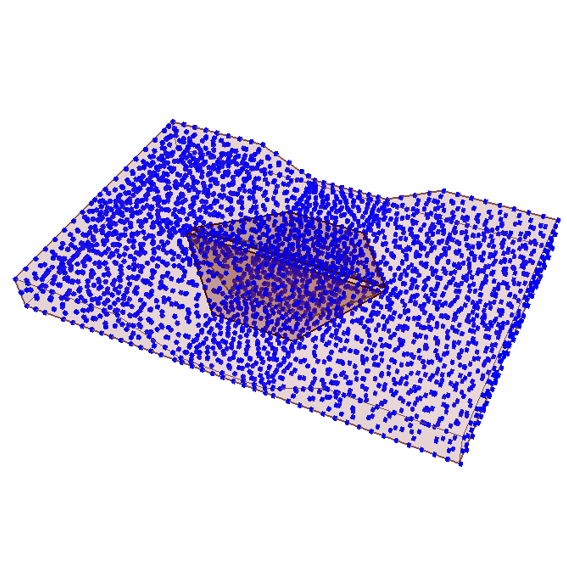 The geometry for a Slide3 model can be created and edited in a variety of ways to help Slide3 integrate seamlessly with your current Slope Stability processes. Slide3 is built on the 2D method of slices (Bishop, Janbu, Spencer and Morgenstern-Price [GLE]) that is the foundation of Slide2. These methods are based on satisfying force and/or moment equilibrium and can be extended to a 3D method of columns, where forces and moments are solved in two orthogonal directions. Vertical forces determine the normal and shear force on the base of each column. Supports can be applied in any orientation in three dimensions, either as individual bolts or patterns. Orientation options include normal, trend/plunge or vector. 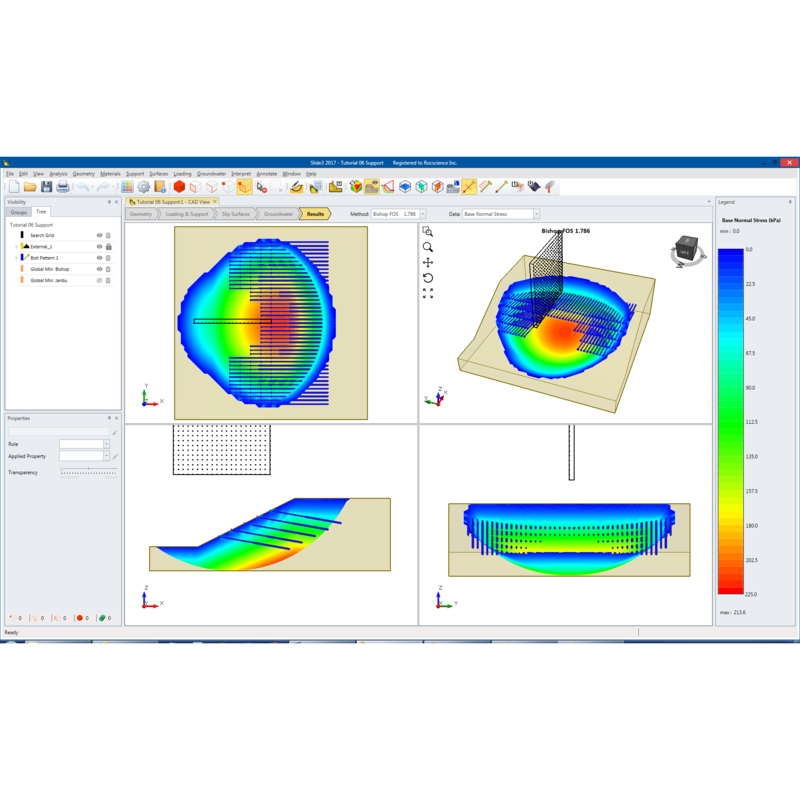 Slide3 offers surface altering optimization, a powerful tool that increases analysis speeds and yields lower factors of safety by modifying geometry of a given slip surface. Surface altering optimization uses the results of the primary search method (e.g. sphere or ellipse from Cuckoo Search or Particle Swarm), converts this to a spline surface, and searches for a spline surface with a lower safety factor.